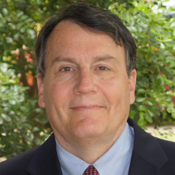 Richard J Bauer, Jr, CFA, CMT, CAIA has been an educator for over 30 years and is the author/coauthor of 3 books and numerous articles about investing. He served as President of the CFA Society of San Antonio and is the co-winner of the 2011 Charles H. Dow Award. He is Professor of Finance at St. Mary's University in San Antonio.